In the last one of these columns I wrote, I portrayed Electronic Arts as a remorseless serial killer who publicly set out a plan to claim one or two victims a year and then spent the next decade going above and beyond on that promise. It set a new record as the grimmest, darkest installment of this series to date, a record we're going to shatter right now. December of 2008 was brutal for a whole lot of people, and a whole lot of companies. The worldwide economic downturn had been going on long enough that everyone was feeling the pinch, with Microsoft's Shane Kim warning that mid-tier publishers were struggling. Kim was right, of course, but some large companies weren't in the best of health, either. For example, Electronic Arts said it would be tightening the belt (it wound up cutting a dozen projects and 1,500 people), and cancelled plans to open a new Vancouver studio. Then there was Sony, which closed a pair of manufacturing sites and laid off 8,000 employees. Midway Games, which hadn't really been in good health to start with, had its fate sealed the same month when Sumner Redstone sold his 87% stake in the company to private investor Mark Thomas for $100,000 and the assumption of $70 million in debt. Also, the change in ownership triggered provisions that would let bondholders require repayment to the tune of $150 million, which Midway said it couldn't pay. Oh, and if Midway defaulted on that $150 million debt, a holding company of Redstone's could seek immediate repayment for a $90 million credit line it extended the publisher earlier in the year. A promo shot for Midway's last game shows a villain blowing things up and walking away with a smile on his face. Management insisted it could still get by and had great plans for years to come, but it was never clear how the company was supposed to climb out of the hole it had dug. It ended the year touting cost-reduction measures like laying off 25% of the staff, closing its Austin development studio entirely, and cancelling a host of unannounced projects. Midway would file for bankruptcy in February and sell its IP and a couple studios to Warner Bros. for $33 million in May. Thomas would walk away from the collapse with $5 million for his troubles. The company's creditors would get a fraction of what they were owed. So who else got a lump of coal in their stockings in 2008? Well there was Free Radical Design. The TimeSplitters outfit that sprung from a handful of Rare veterans who worked on the beloved GoldenEye 007 and Perfect Dark shut down right before Christmas. In fact, as co-founder Steve Ellis told us years later, the day he realized the company was going to enter administration was the day of its staff Christmas party. The studio had a headcount of nearly 200 at that point. Crytek acquired it out of administration in February, but by that point there were only about 40 left on the payroll. Free Radical's final game was the Ubisoft-published PS4-exclusive Haze. The same month saw another high-profile creator of an original IP for PS4 hit hard times, too. Lair developer Factor 5 hit a rough patch and according to one employee, stopped paying its employees for an entire month and blamed the previous month's collapse of publisher Brash Entertainment for the problems. Factor 5 would limp on for a few more months before shutting down for good the following May. Factor 5 employees weren't the only ones going without pay. Cheyenne Mountain Entertainment was years deep into development on the Stargate Worlds MMO, and the employer admitted to hitting a rough patch in December 2008, resulting in employees not being paid for several weeks. "We have maintained a core of dedicated investors, but the new economic realities are forcing us to seek out additional sources of funding and that's what we're doing," the company said. Employee payroll is certainly a creative additional source of funding, but that creativity didn't ultimately benefit Cheyenne Mountain, which filed for bankruptcy in early 2010. Stargate Worlds never launched. In contrast, Turbine had shipped a number of MMOs like Asheron's Call, Dungeons & Dragons Online, and The Lord of the Rings Online, but they were not enough to prevent the studio from a round of layoffs for QA and account management staff. And while it was probably cold comfort to former employees spending the holidays wondering how they were going to put food on the table in the new year, a Turbine representative put a cheery face on the whole affair, emphasizing that the company "is still hiring and we will continue to grow in 2009." Finally, retail was producing plenty of bad news as well. Best Buy launched a cost cutting plan that would see it slow expansion and offer nearly all of its corporate employees a voluntary severance package, with the understanding that layoffs would follow if not enough people took the company up on that offer. Meanwhile in the UK, Woolworths was closing hundreds of stores while distributors Entertainment UK and Pinnacle were undergoing mass layoffs as all three companies wound their way through administration. ● In December of 2008, more than two years after the Wii's retail debut, it was still so difficult to find on store shelves that it was still the most searched-for item on eBay, where systems were selling for an average mark-up of $100 over the suggested retail price. 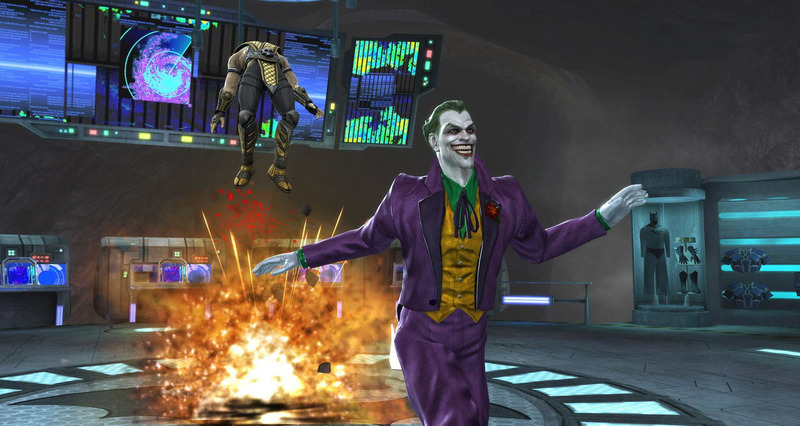 ● Atari acquired Cryptic Studios, which is the sort of thing we would normally include in a round-up of bad news for the month, but Cryptic somehow survived, was sold to Perfect World in 2011, and still exists to this day! Hope that's enough silver linings for you, because that's about all I got this month. ● Back to the sad stuff. Reports emerged that UGO Entertainment acquired the 1UP Network from Ziff Davis. That would be confirmed in January, with 30 staffers losing their jobs and the venerable Electronic Gaming Monthly coming to an end after a decades-long run in print. ● She didn't use the word "indiepocalypse," but Emergent VP Katie Morgan identified the oncoming discoverability crisis for indie developers long before it was a trendy part of the discourse. ● This is what an NPD report looked like in 2008. Just look at all those numbers. The shift to digital has really given the industry the ability to obfuscate the actual sales performance of its games. Bonus fact: two months earlier in 2008, Fifa09 was released, the first game with ultimate team lootboxes you could buy with money. So there is still room to blame it all on EA, instead of the global economic crisis and keep the article in line with its predecessors. @Klaus Preisinger: (^&$"*$ing FIFA lootboxes and ^*^)%$ing Sony password security and all those £*! *ing stolen accounts.